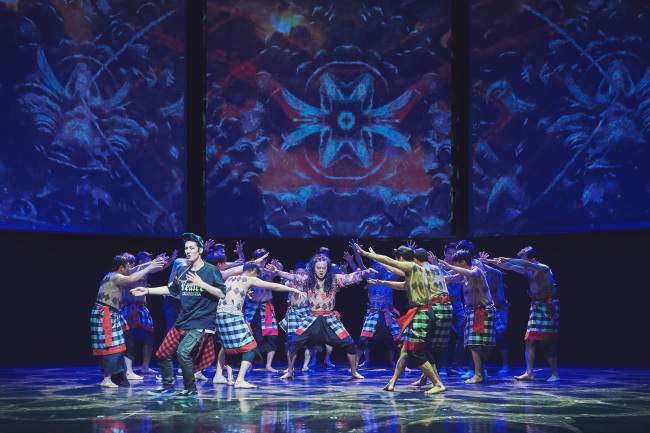 “Nori”: In celebration of the Seoul Performing Arts Company’s 30th anniversary, the company has unveiled its newest, multi-cultural live song and dance theater production, “Nori.” The production follows the four SPAC performers on a journey around the world to learn about new musical cultures and present them to the Korean stage. “Nori” will be staged daily (except on Mondays) at the Arko Arts Theater’s Grand Theater in Daehangno, Seoul until Aug. 21. Ticket prices range from 30,000 won ($27) to 70,000 won and can be purchased online at www.spac.or.kr. For more information, call 02-523-0986. “Unforseen”: Art and modern dance meet in a joint experimental performance project between the National Museum of Modern and Contemporary Art, Korea and the National Dance Company of Korea. The performances presented by 13 artists and teams will be staged spontaneously at various spots of the museum, or presented in an exhibition format at the museum. The performances will combine unique features of contemporary art and dance traversing diverse fields of arts from visual art, film, poetry and dance media to sound. The performances will run from Aug. 17 to Oct. 23 at the MMCA’s Seoul museum at 30 Samcheong-ro, Jongno-gu, Seoul. For more information, visit www.mmca.go.kr. “Archive of Mind”: The National Museum of Modern and Contemporary Art, Korea is hosting artist Kim Soo-ja’s solo show as part of its annual exhibition program sponsored by Hyundai Motor Company. The exhibition showcases latest works by Kim, including site-specific installations, videos, sculptures and photos that explore the body and the mind. The exhibition runs until Feb. 5 Gallery 5 and the museum’s courtyard. For more information, visit www.mmca.go.kr. “Big: Kids and Design”: More than 200 pieces of 20th-century vintage furniture designed for children are on view at Kumho Museum of Art until Sept. 11. The exhibition sheds light on the point in the 20th century when specific needs of children started to be considered in designing furniture. It also introduces chairs, tables, toys and other objects created by leading designers of the period such as Peter Keler, Luigi Colani, Jean Prouve and Renate Muller, whose designs were intended to stimulate children’s creativity and imagination. For more information, visit www.kumhomuseum.com. “Arcadia Korea”: Arcadia Spectacular, the performance art collective show that combines architecture, pyrotechnics and music, will take place in Seoul on Sept. 2-3. Arcadia Korea will see Seoul’s historic Olympic Stadium transformed into an immersive world of mechanical creatures, flying aliens and giant fireballs. The music headliners will be English drum and bass band Rudimental and Greek-Swedish DJ Steve Angello. 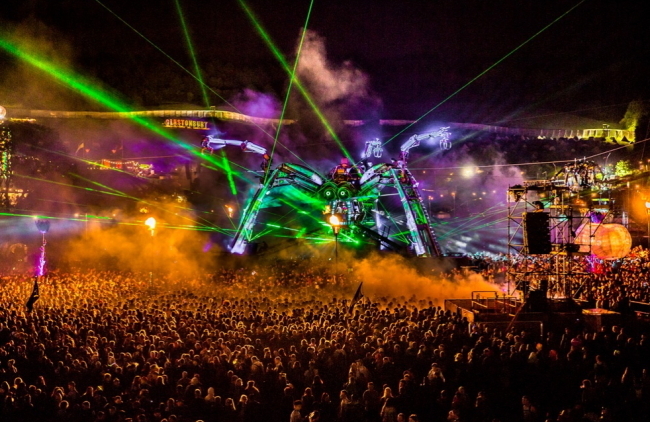 Also featured will be the show’s trademark giant “Spider,” weighing 50 tons and forged from ex-military machinery and industrial components. Tickets prices range from 88,000 won to 220,000. They can be reserved at ticket.interpark.com. “Nell Comeback Concert ‘C’”: Indie rock band Nell will be holding a concert at the Yes 24 Live Hall in Gwangjin-gu, eastern Seoul on Sept. 3-4. The concert marks the band’s seventh album “C,” which comes more than two years after its last full-length album, “Newton’s Apple.” The theme of the new record includes chaos, conflict, confusion and contradiction. The four-member band, debuted in 2001, consists of vocalist and keyboardist Kim Jong-won, lead guitarist Lee Jae-kyong, bassist Lee Jung-hoon, and drummer Jung Jae-won. It rose to fame through hits like “Stay” and “Time Walking on Memory.” Tickets are priced at 110,000 won and can be reserved at ticket.interpark.com. “Gregory Porter in Korea”: Jazz artist Gregory Porter, who won the 2014 Grammy Award for Best Jazz Vocal Album, is coming to Korea for his first solo concert on Sept. 25, 7 p.m., at the Blue Square Samsung Card Hall. Porter previously performed at the 2015 Seoul Jazz Festival. The Sacramento-born musician has released four albums since his 2010 debut, his most recent 2016 “Take Me to the Alley” well-received by critics and fans. Tickets are priced at 77,000 won and 99,000 won and can be reserved at ticket.interpark.com. “Grand Mint Festival”: The Grand Mint Festival 2016 is taking place on Oct. 22-23 at the Olympic Park in southern Seoul. The festival will feature an eclectic array of indie musicians including the acoustic duo 10cm, the hauntingly moody female solo act Kim Sawol, indie pop duo No Reply, and rock band Daybreak. One-day tickets and two-day tickets are priced at 99,000 won, 158,000 won, respectively. For reservations, visit ticket.interpark.com. “Spartacus”: Korean National Ballet will perform Khachaturian’s “Spartacus” at the National Theater of Korea from Aug. 26-28. The three-act ballet chronicles Spartacus’ fight for freedom after he and his wife are captured by Roman consul Crassus. The performance will begin at 7:30 p.m. on Friday and at 3 p.m. on weekends. Tickets range from 10,000 won to 30,000 won and can be reserved at ticket.interpark.com. For inquiries, call (02) 587-6181. 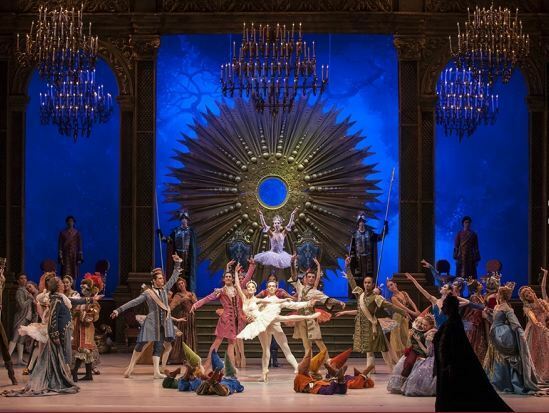 “Sleeping Beauty”: Korean National Ballet will perform “Sleeping Beauty” at the Seoul Arts Center Opera House from Nov. 3-6. After presenting Rudolf Nureyev’s rendition in 2004, the group is back with a different take of the classic fairy tale, choreographed by Marcia Haydee, a former prima ballerina of the Stuttgart Ballet group. The performance will begin at 7:30 p.m. on weekdays, 2 p.m. and 7 p.m. on Saturday and 2 p.m. on Sunday. Tickets range from 5,000 won to 100,000 won and can be reserved at ticket.interpark.com. For inquiries, call (02) 587-6181. “Sumi Jo -- My Songs”: World-class soprano Sumi Jo will hold a concert celebrating the 30th anniversary of her international debut performance at the Seoul Arts Center Concert Hall at 5 p.m. on Aug. 28. Jo first appeared in the international scene as the prima donna in Verdi’s three-act opera “Rigoletto” at the Teatro Lirico Giuseppe Verdi in Italy on Oct. 26, 1986. The program will feature songs from well-known operas, including “Caro Nome” from “Rigoletto,” along with Korean songs, with pianist Jeff Cohen on the piano. Tickets range from 50,000 won to 150,000 won and can be reserved at www.sacticket.co.kr or ticket.interpark.com. For inquiries, call (02) 3461-0976. “Kang Choong-mo Piano Recital”: Internationally renowned pianist Kang Choong-mo is resuming his performances in Korea starting Nov. 3 at the Seoul Arts Center Concert Hall at 8 p.m. In addition to presenting pieces by Busoni as a tribute to the Italian composer’s 150th birthday, Kang will be performing works by legendary composers and musicians, including Granados, Schubert, Rachmaninoff, Brahms and others. Tickets range from 30,000 won to 70,000 won and can be reserved at ticket.interpark.com. For inquiries, call (02) 780-5054. “San Francisco Symphony”: The world-renowned San Francisco Symphony will be performing at the Seoul Arts Center Concert Hall on Nov. 10 at 8 p.m. The concert will be conducted by the symphony’s music director Michael Tilson Thomas, who has been lauded by the San Francisco Examiner as “an enthusiastic ambassador for classical music.” The performance will be accompanied by award-winning pianist Lim Dong-hyek. Tickets range from 60,000 won to 280,000 won and can be reserved at ticket.interpark.com. For inquiries, call 1577-5266. 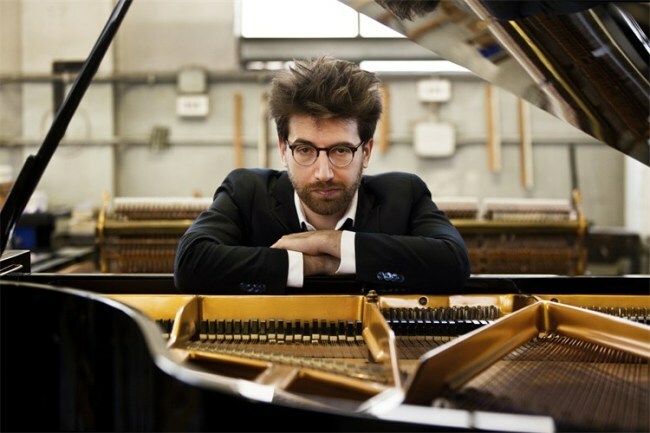 “Gabriele Carcano Piano Recital”: As the fourth performance of the Italian pianist series, Gabriele Carcano will be playing at the Tongyeong Concert Hall in South Gyeongsang Province at 7:30 p.m. on Nov. 11. Currently an instructor at Accademia di Musica in Pinerolo, Italy, Carcano is known to be the last understudy of the late Italian-French pianist Aldo Ciccolini. Carcano will be performing pieces by Mozart, Brahms and Liszt. Tickets range from 20,000 won to 30,000 won and can be reserved at ticket.interpark.com. For inquiries, call (055) 650-0400.